We ate this yesterday for an easy Sunday night dinner, and it’s as simple as it is good. Pork tenderloins usually come pre-marinated, or can be easily marinated with barbeque sauce, or balsamic vinaigrette, Worcestershire, or whatever flavors you like best. The collards were on sale for 99 cents a bunch, and thought they would be perfect with the pork. I just chop up about 4 slices of bacon and get them sauteing in a big pot on the stove, and add my chopped greens to the pot, along with about 4 cups of chicken stock and about 1 1/2 teaspoons of salt. Once the stock starts to boil, I turn the heat down and let everything cook for about an hour, until the greens are tender but not mushy. Adjust the seasonings to your taste, and you have a delicious and nutritious side to your pork! We added some baked beans and had a great meal. Even the kids cleaned their plates! We have had this skillet a few times, and though the ingredients are simple, this dish is surprisingly delicious! Both Scott and I went back for seconds the first time I made it! We knew we wanted to splurge a bit for the football game tonight, and pizza sounded like the perfect game food! We figured that making it ourselves might be a *bit* healthier than ordering our favorite delivery, so we’re going to make it ourselves. Pepperoni and Jalapeno for Scott, and Cheese, Mushroom, and Spinach for me and the kids! We are also going to be making some chicken wings for the game, and munching on some hummus and veggies, and some cheese, salami, and olives. Definitely a cheat night!! I love making soup at least once during the week. It’s the perfect comfort food while it’s cold, and we usually have enough left over for lunch the next day. 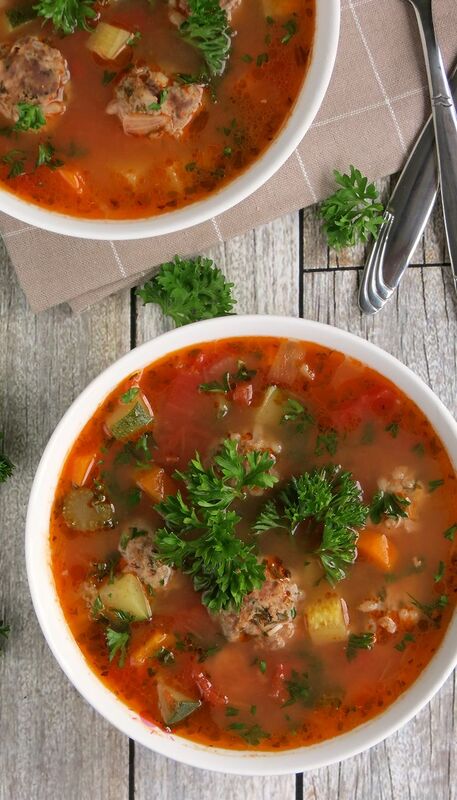 I thought this mexican meatball soup sounded so good, and would be a little different! 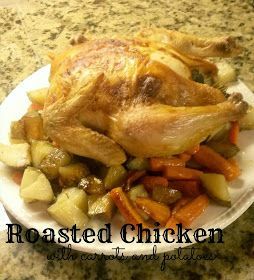 Whole chickens are usually really inexpensive at the grocery store, and actually, so are potatoes, onions, and carrots! Throw in some herbs, a little butter, salt and pepper, and you’ll have a dinner that really is hard to beat. Roast your chicken for 20 minutes per pound, and it will come out perfect every time! I have been craving Mexican food lately, but I am trying my absolute hardest to avoid tortilla chips and lots of cheese (my weaknesses to which I have absolutely no self-control). I love the idea of this yummy burrito bowl with lots of Mexican flavors (and plenty of guacamole-YUM), but better for you! 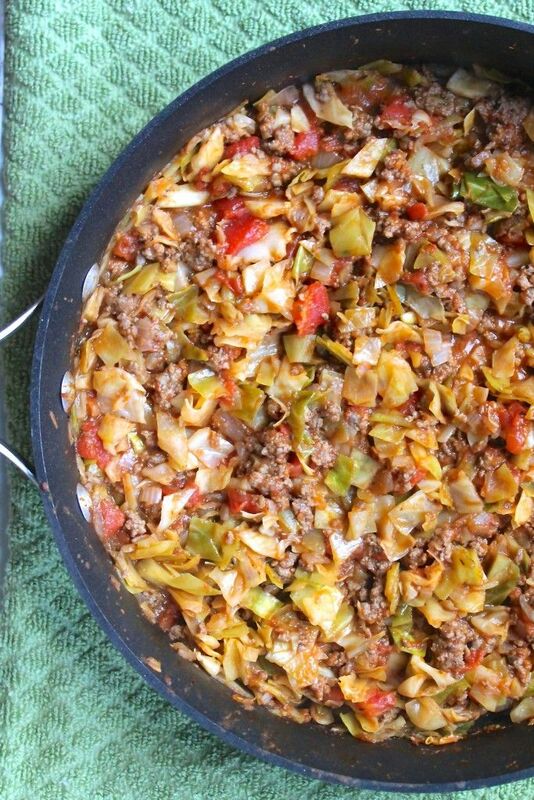 I am hoping this is a winner, because I think it will make great leftovers for lunch too! What are you eating this week?! Are you going all out for the big football game tonight or trying to keep up with your resolutions (or a hybrid, like us)? I love new dinner ideas, so throw out any new recipes you’re trying this week!